Nice fashion earrings silver finish made around two 15 mm diameter metal pearls anthracite colour inserted between caps and metal pearls. 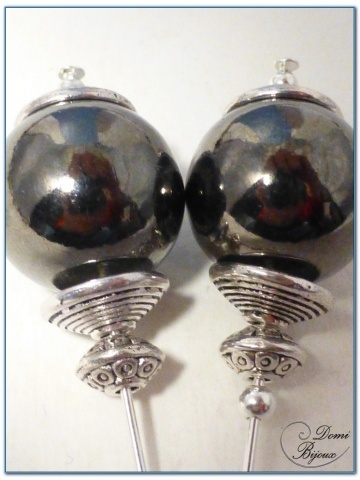 The pearls can slide on the metal rods. 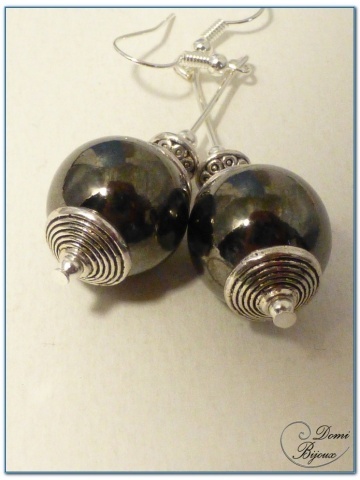 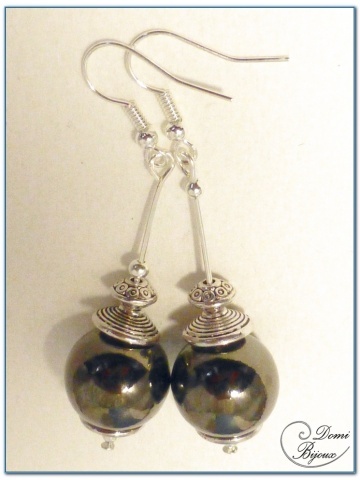 Intense grey colour of this metal pearls give this earrings very nice reflections.